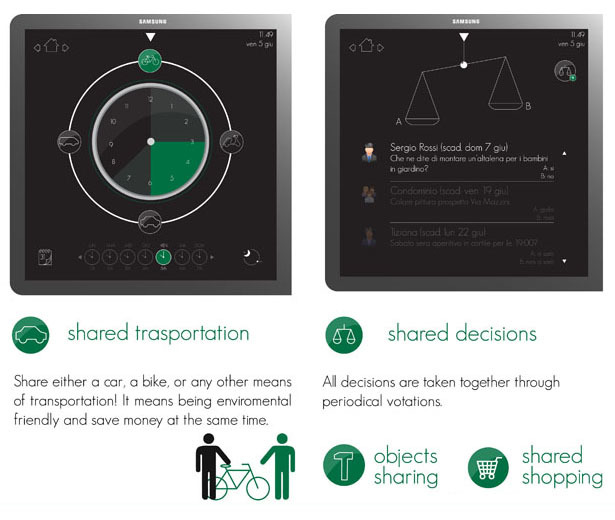 Invention of social networking sites like facebook,twitter and other help people to be in contact with their friends and family in their busy life's. 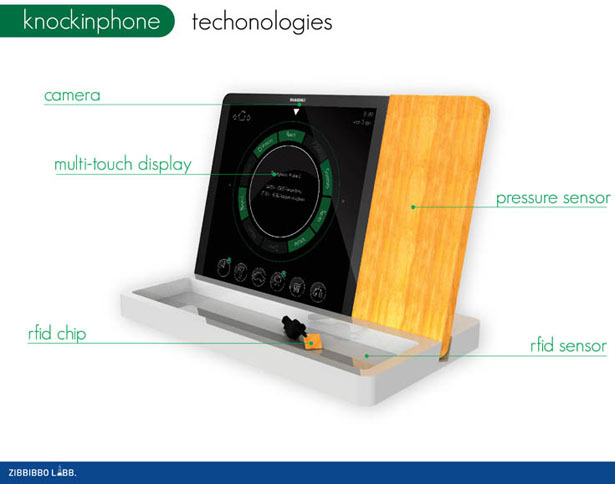 To make it more easier and quite handy, Toctofono or Knockin Phone was introduced. 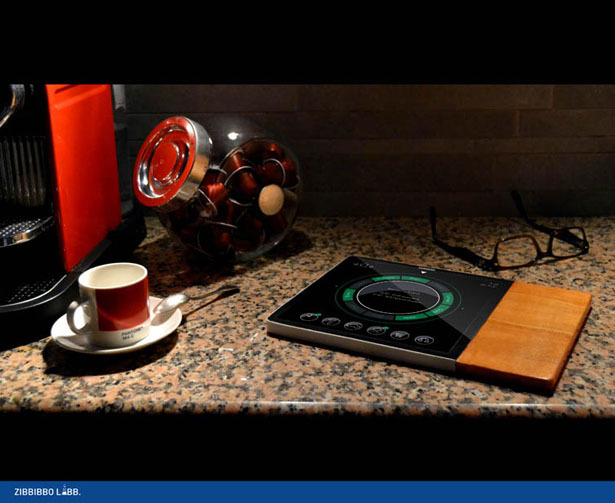 This is just a concept design which was presented in Samsung Young Design Award 2011 submission to answer the challenge of creating new electronics of new families. People are getting isolated day by day. Many doesn't even know about our neighbours. We rarely smile at them when we see them. 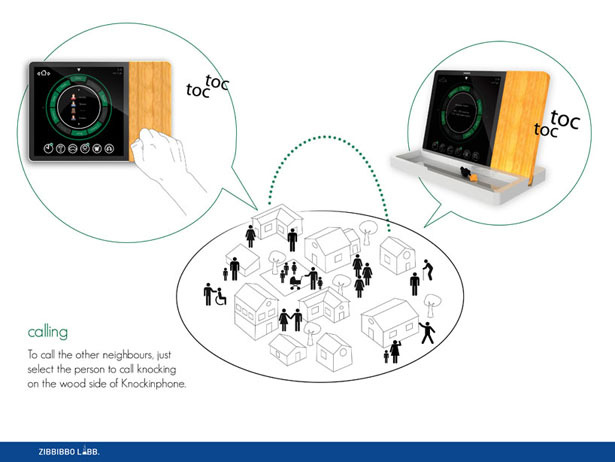 This Knockin phone is basically designed to collaborate smart neighbourhood system. 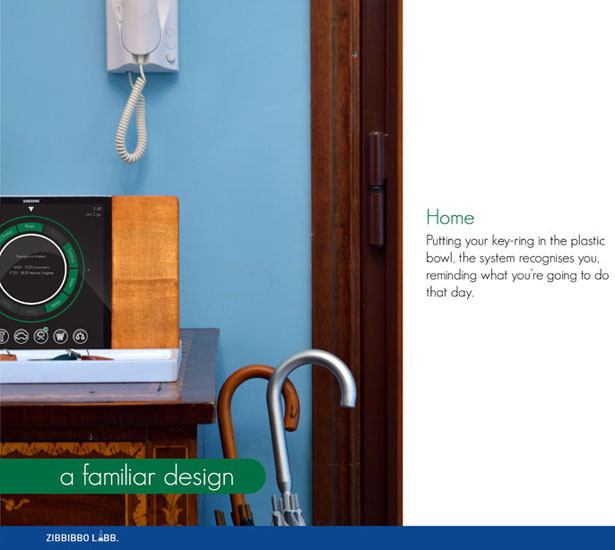 Just choose the neighbour on display panel and knock on the wooden panel to make a call. 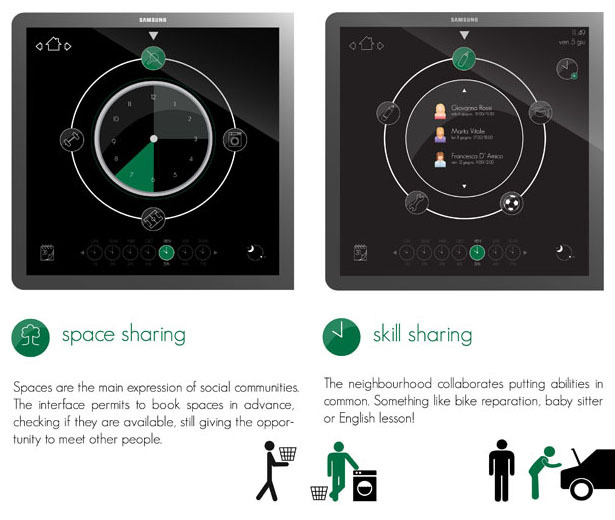 It also allows you to connect to other neighbours for various activities like car pooling,shopping , going out to common places, to know more about them and many more. 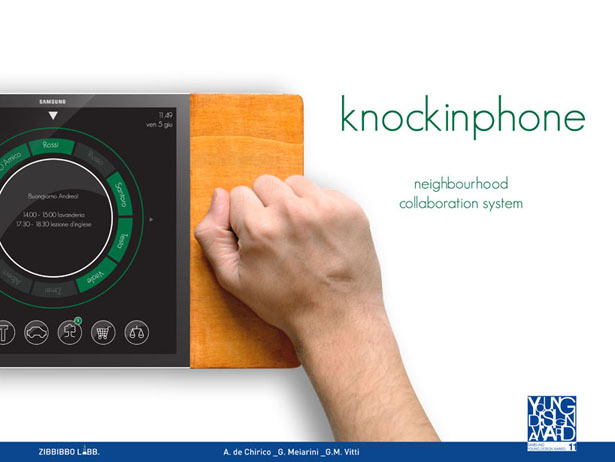 Knockinphone_neighbourhood collaboration system from andrea de chirico on Vimeo.